Anjaneri is famous for being the birthplace of Lord Hanuman, but for nature-lovers, the Anjaneri trek is a chance to delve into the forests and explore a rain-drenched mountainside. 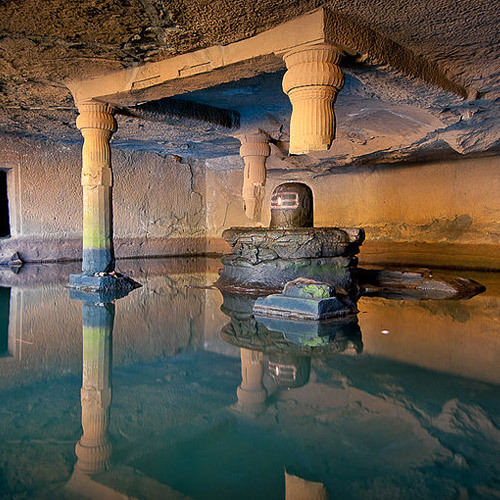 It is located between Nasik and Trimbakeshwar, about 20 kms away from Nasik. 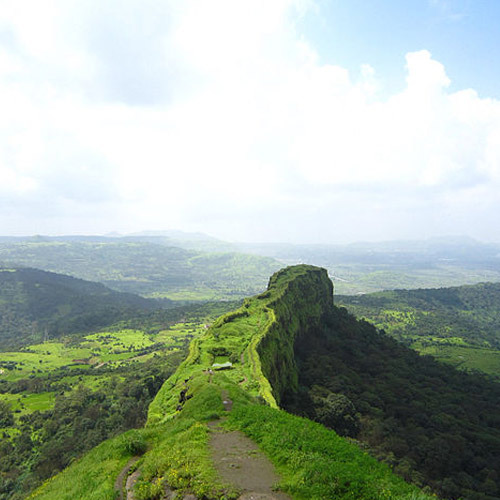 Anjaneri fort is 4200 feet high, and offers great views all around. 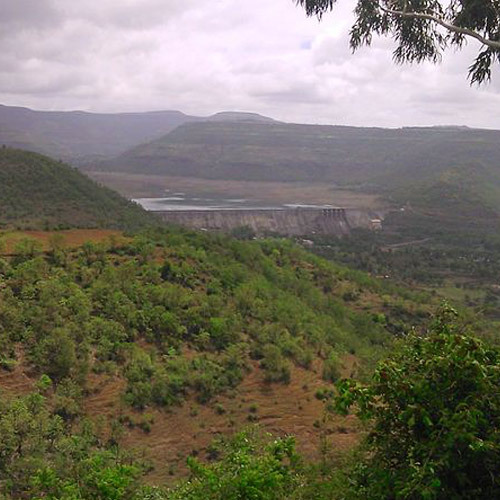 If you’re going on the Anjaneri trek from Mumbai, you’ll have to take private transport, or take a train to Kasara station. You’ll spend most of the night travelling to the base village of Anjani, and start the trek in the cool early hours of the morning. En route, there’s a big waterfall, and if the winds are strong that day, you’ll see a reverse waterfall. The wind turns the spray from the waterfall and carries it upwards, drenching anyone who stands nearby. 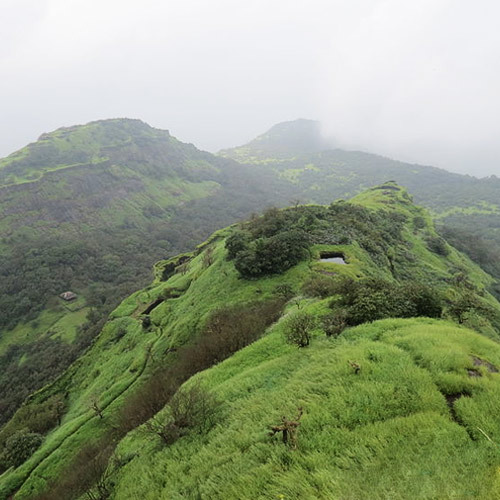 There are caves to explore, fine views to admire, and plenty of fresh air and rain clouds to make this a wonderful trek. The Anjaneri fort trek begins at Anjani village. From here, it take about 3 hours to get to the top. You’ll hike through rain-soaked forests, past numerous caves with carvings inside, to the top of the fort. 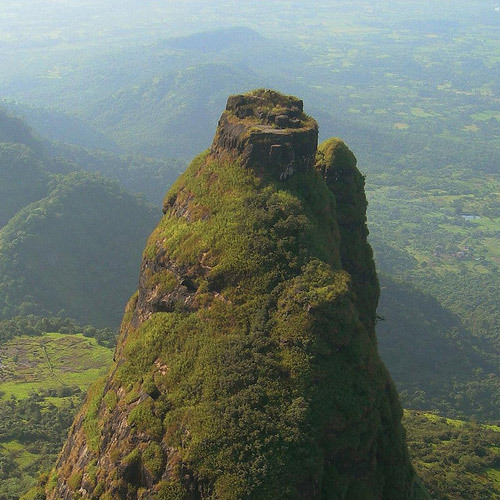 You’ll eat lunch at the top, and will be able to see views of the Navara and Navari pinnacles, and the Anjani Mata temple. You’ll descend to the base village, where you can stop for evening snacks before you begin the journey back home. 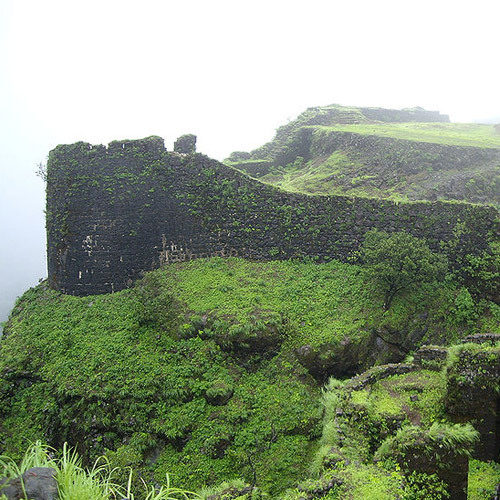 The Anjaneri fort trek is best done in the monsoon, when the weather is cool and the trail is green. From the top, you’ll get to see the land around, as well as the grey skies above. For your Anjaneri trek, you should take appropriate rainwear and trekking shoes. Do carry your essentials like water, snacks, insect repellent, first aid kit, and camera in a small day pack. Don’t forget to pack a rain cover for your bag, or pack your belongings in plastic to protect it from getting wet. Also, carry a change of dry clothes and a long-sleeved jacket or sweatshirt to keep you warm on your return. Want to get away from the noise and chaos of the city for the weekend, travel to the serenity of a village and have a thrilling adventure at the same time? 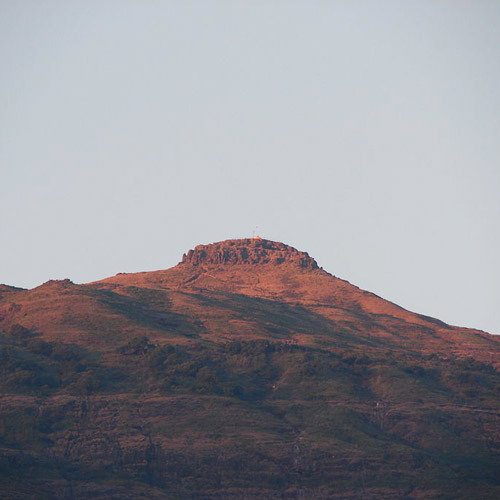 Try this one-day, easy trek to Anjaneri Fort. 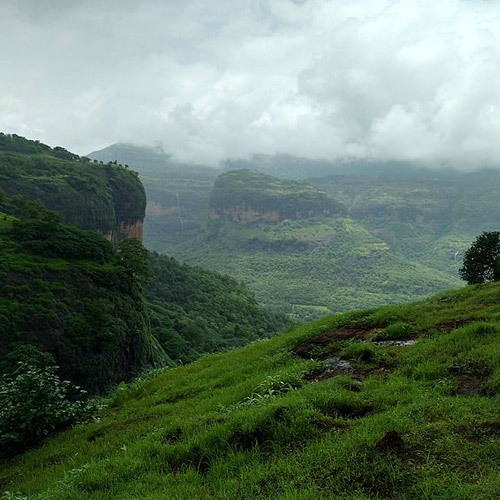 The trek to Anjaneri is a unique trek that doesn’t just take you into the forested depths of Nashik, but into the age old realms of Indian mythology! Known as the birth place of Lord Hanuman, this beautiful mountainside takes you through rain-drenched landscapes, massive rock formations and lush valleys, and gives you spectacular views of the Navara and Navari pinnacles, the Anjani Mata temple. Waterfall treks during the monsoon are common, but have you experienced trekking over a reverse waterfall? 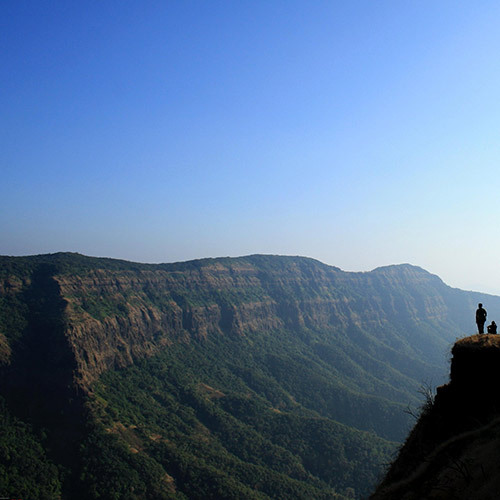 The Anjaneri trek promises to offer you this unique experience, wherein the wind currents on top are so strong that they carry the water from the waterfall along, creating a reverse waterfall occurrence, and drenching you in its glory. Covered with greenery and interspersed with caves, the trek to the top is a thrilling journey in itself. Experience this unique and wonderful trek with a bunch of enthusiastic friends.